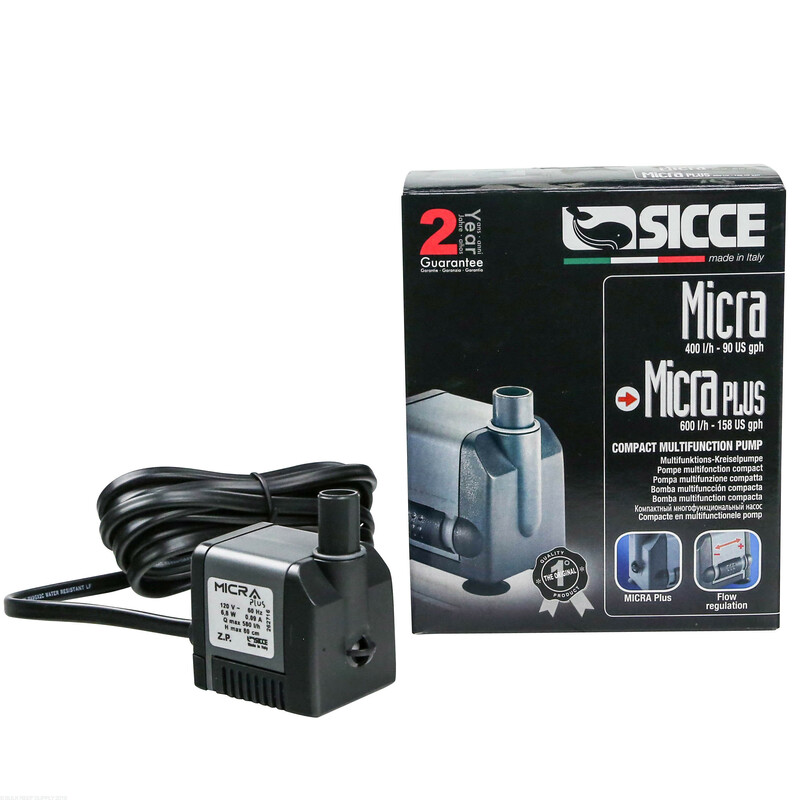 Sicce's MicraPlus pump is a fully submersible, compact pump with suction inlet is on the bottom for optimum operation with low water levels. Small size is great for indoor or outdoor fountains, aquariums and terrariums. 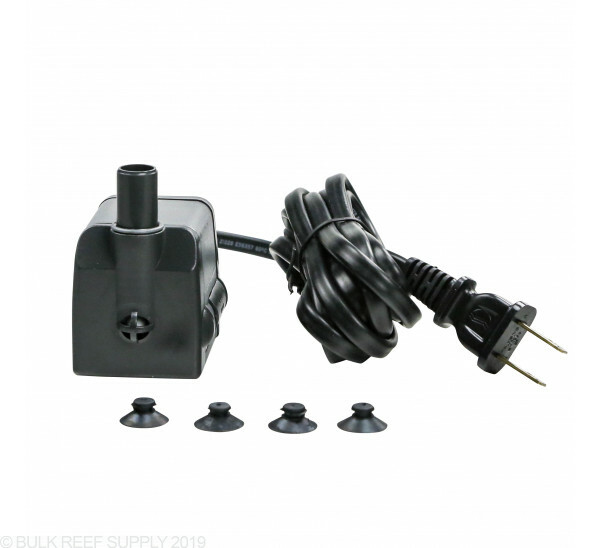 Outlet Tube Adapter Size: 1/2 or 3/8""
I have been using this pump for well over a year as a return on my HOB refugium and it really runs well. The noise I reported in an earlier review disappeared shortly afterwards. Very economical, so I bought another which I swap out when it's time to clean. 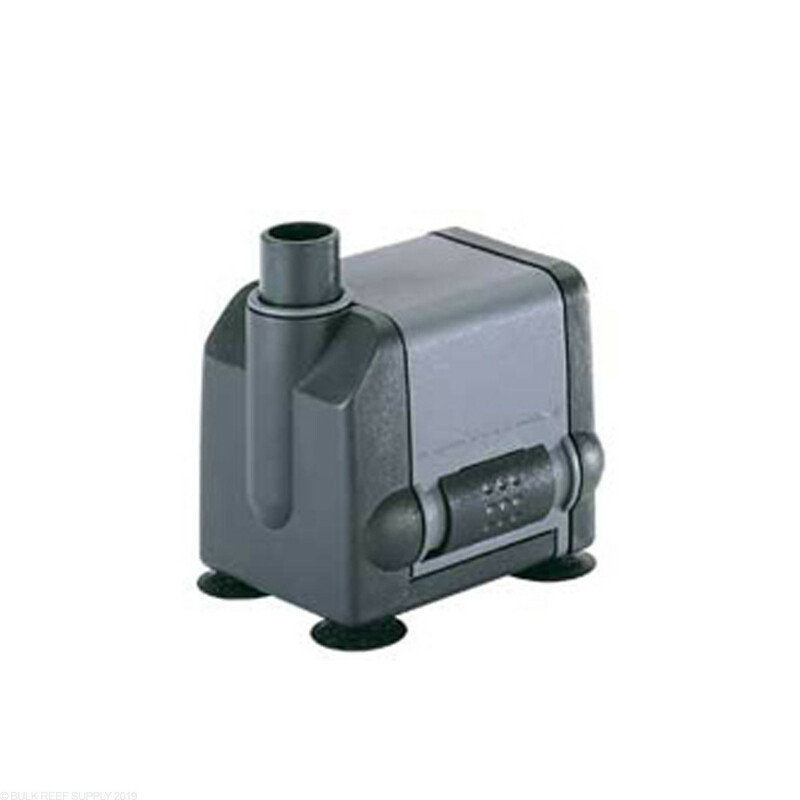 I am using this pump to agitate the water under the dosing pump outlets in the sump to make sure that the materials that I dose is completely mixed and delivered to the tank in its dose as required. 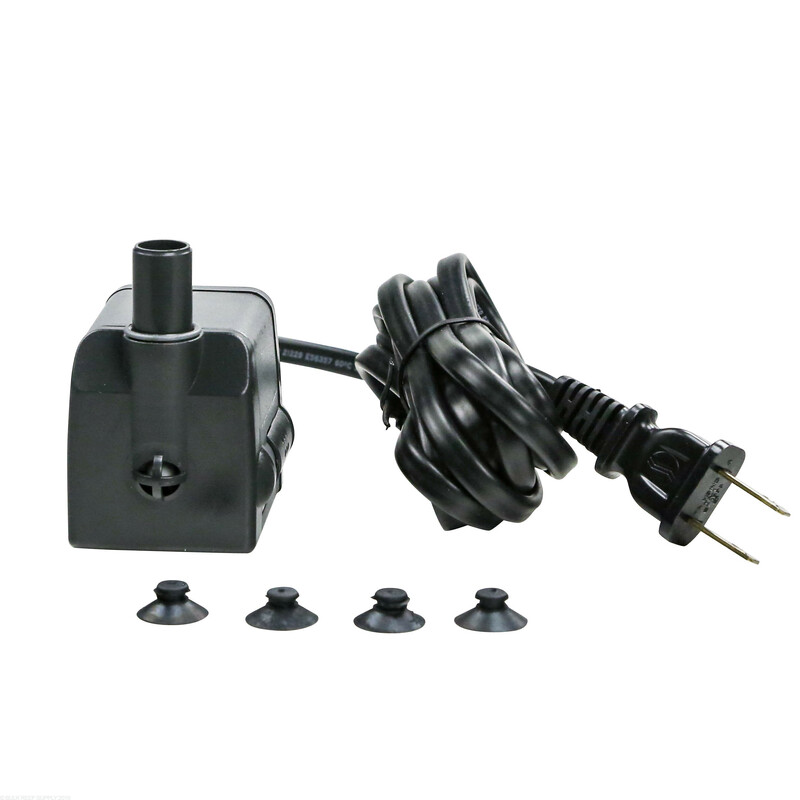 I bought this to replace my Viaaqua 600, to run my CPR HOB Refugium. Not as powerful as the Viaaqua but still adequate flow and I liked that it is more compact. Suprisingly, though, not as consistently quite as the Viaaqua. Once in a while it will make a slight, but noticeable buzzing sound. Jiggling the cord usually eliminates the noise. Let it run for a couple of days to see if it would wear in and quiet down. It didn't. The tank I had it in is located in a nook that focuses any sound back out into the room plus I am SUPER picky about the slightest noise so it may just be me. I'll save it for a backup JIC though. 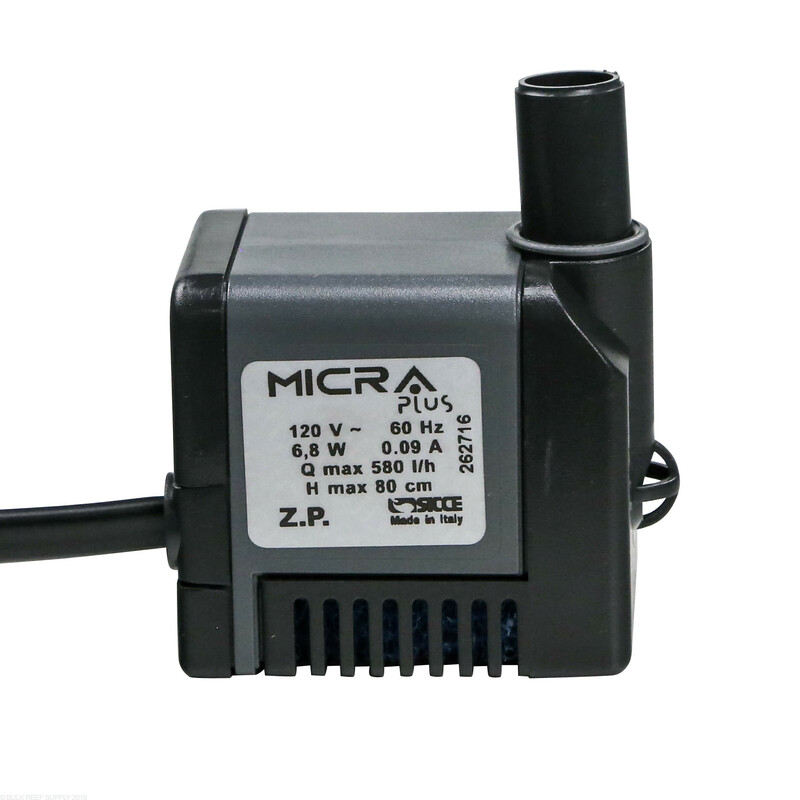 Pump is very compact,quiet and flow is adjustable. Using this in a JBJ nano for a two little fishy's media reactor and it works perfect. I bought this pump maimly because of the name brand. It failed after 5 gallons of pumping. I called BRS and they immediately replaced it at no charge including shipping. The new seems to be working fine. This pump should serve its purpose. Everyone should know its specs and stay within them. THANKS AND HATS OFF TO BRS for great customer service. I recently purchased this pump knowing that the name brand was one of the best. However after pumping only 5 gallons of water it stopped working. I followed the proper procedures to check and make sure it was clean and it still didnt work. 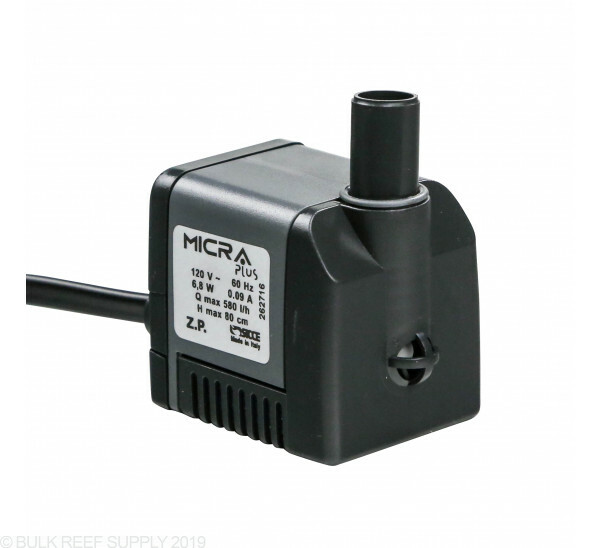 I called Bulk Reef Supply and to my surprise they sent me a new pump at no charge. So I give BRS 5 stars and more, and the pump 1 star. We will see if the new pump does any better. HATS OFF TO BRS!! Very durable pump. 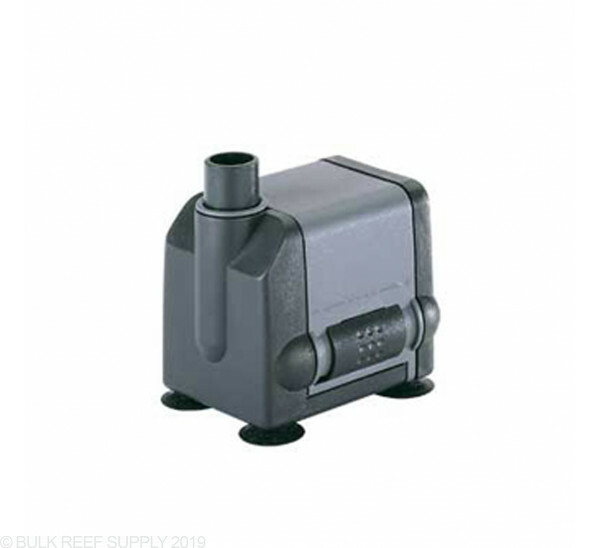 Anyone who needs output up to 158 GPH will be vary satisfied with this pump. Very easy to adjust the variable output. 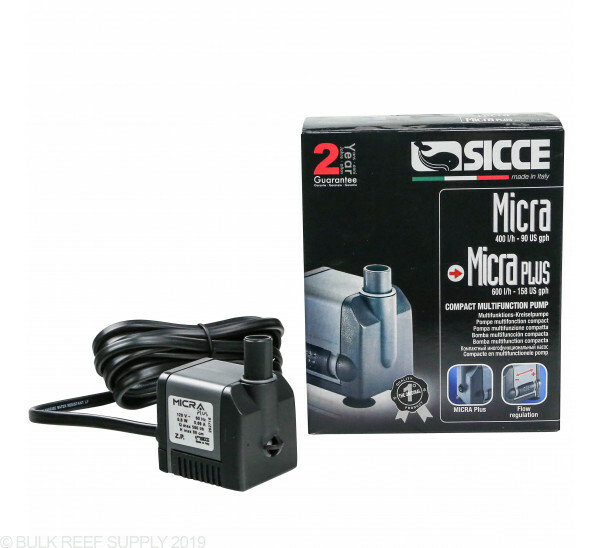 I'm considering this pump for a 10 gallon QT tank would it be enough to circulate 10 gallons effectively ? Also to move water in a 5 gallon bucket for curing live rock? Is this pump a little too much for an ATO system? This has a maximum head height of 2.6 feet meaning it cannot pump and higher than 2 feet. That limitation makes it far under powered for most ATO applications. Feel free to let us know if you have any further questions! 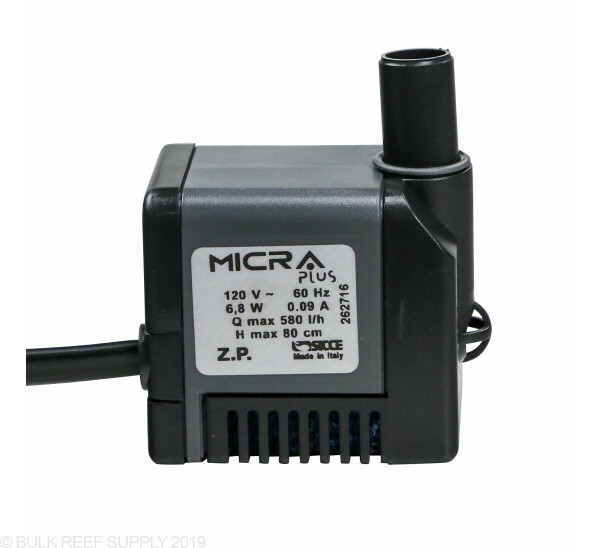 Would this work for pumping water back into the tank from our fresh mixed water bucket after a water change? This has a maximum head height of 2.6 feet meaning it cannot pump and higher than 2 feet. this would be very limited for pumping any water besides on a very small 5 gallon tank. Feel free to let us know if you have any further questions! 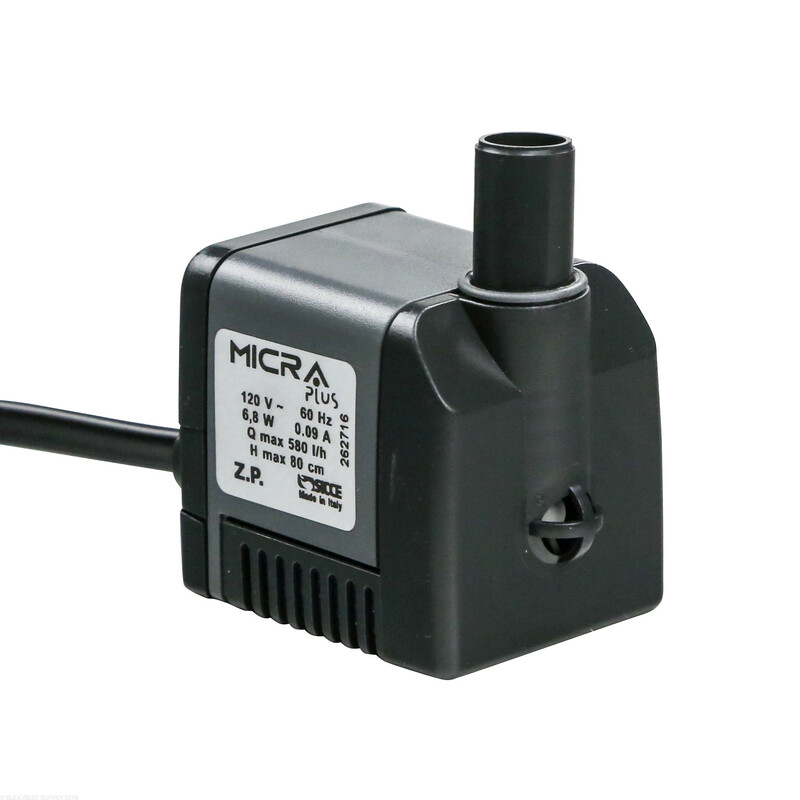 Is the footprint of this pump 1.69"x2.24" or is some extra added in for cord thickness? The footprint is 1.69" x 2.24" for the power cord you will need an extra 1/2" for it to comfortable bend around at the 2.24" length. Feel free to let us know if you have any further questions!